It’s no secret that children with autism are high functioning and need a lot of sensory stimulation. But the emphasis here is on the child, and after all, children just want to be children and have fun! However, for someone with autism, having their senses stimulated is very important. It brings about a feeling of calm and control when they can not only see, but feel, hear and smell what it is they are working with. The activities I’m going to talk about today are great ways to allow your child a creative outlet, stimulate their senses as well as cognitive function, and will also give them something to put their focus towards. Here are a few of my favorite activities that will keep a child with autism busy, interested and most importantly having a good time. Painting is an awesome activity that can bring the whole family together. You can use your fingers, brushes, hands and feet for this one. There are so many varieties of this activity from popping on some bubble wrap to your feet, dipping it in your favorite color paint and walking all over your clear canvas, to regular finger painting, color splashing or hand printing. Your options are endless. All you’ll need is water paint in all the colors you like, large poster-sized plain paper, tape, brushes and bubble wrap, tape your canvas where you like, dip into your paint and off you go! Your child is sure to love this one! All you need to do is mix ¼ cup of basil seeds with 1 box (at least 16 ounces) of cornstarch and 2.5 cups of water. Add your favorite food coloring and knead the mixture together for a minimum of 5 minutes until the seeds have absorbed that water and it’s a smooth consistency. Break down any clumps between your fingers e voila! Fabulous slime to keep your kids busy for hours. Melting chocolate into various shapes (molds are readily available at your local grocery store) or let your child make their own individual shaped pancakes or waffles, build fruit statues, colorful health cookies, candy skewers and so on is an awesome way to help relax a child with autism. All you’ll need is a piece of string, dried pasta, fruit loops, M&M’s or any of your favorite round candy, string them together or separately into necklaces or bangles. It makes for an awesome snack later on too. The art of putting something together is something special. Any toy store will have all sorts of shapes, scenes and sizes available and these can be made and remade as many times as you like. These bottles full of glitter are great ways to calm and relax a child with autism. Watching the colors glimmer and swish about is a wonderful visual stimulation. Take an empty plastic or glass water bottle, add your choice of glitter or just mix a bunch of colors together, add clear glue and glitter glue to the mix till your bottle is full. Seal the top and shake very well until all the particles have mixed, and the glitter has separated. Now watch the glitter swim around in a colorful rainbow of awesomeness. These bottles can be taken along when going out to town, visiting friends or on long road trips. There are also lots of activities you can use to play with an autistic toddler. Apart from fun activities, there are also great sports children with autism can participate in. This will help keep the body healthy by getting in some exercise as well as get exposure to other children. It’s a great way to make friends and get social! However, you must choose the sport carefully and based on your child’s specific diagnosis. Everyone is different and therefore autism will affect every person individually. If for example your child struggles with hand-eye coordination and is sensitive to noise, then ball sports like soccer, football or tennis may not be the best idea. Also, if large groups are frightening to your child, it may be best to focus on sports that allow for individual achievement. Unfortunately, there is no available cure for Autism, the most important thing is early detection or diagnosis and a good treatment plan to alleviate its symptoms. Thankfully there are many ways to help manage them, and make the life of someone with Autism complete and fun. In general, seeking professional help in terms of anger management, family therapy, behavioral therapy, sensory processing or animal-assisted therapy, are important ways to help child with autism cope with daily life and responsibilities. But there are other ways to support your child as well. If you want to read more about weighted therapy on another of our articles, click here. Children with autism are often classified as perfectionists and giving them an important task like helping to keep the house clean will be a great way to motivate them. This is also a wonderful way to bond and teach some responsibility. Again a great way to get outdoors and doing something together. You can turn cleaning up the yard into a game where the person who completes their job the fastest wins a prize. Children with autism love pretty things, and what is more beautiful than a garden full of stunning and colorful flowers? So, build a flower garden with your child, and choose vibrant flowers. Your child will love watching them grow. It provides a sense of accomplishment. Any game that involves running and jumping is excellent for children with autism. 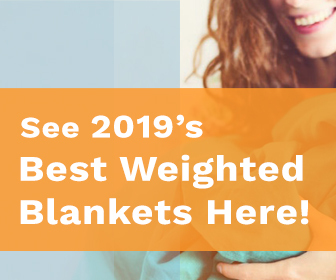 It not only gets the blood circulation going but the exercise will help your child get more quality sleep, and this is something every single specilist will tell you, unless the kid has a very limitating condition. Though playing in the mud can get dirty it’s a great sensory stimulation for your child. The fact that they get to build something is even more rewarding as there is a physical result. This may sound silly but there are some amazing interactive games offered these days like dancing, karaoke and martial arts. This is something a child with autism can do on their own, with family or friends whilst in the safe environment of their own home. Arrange a treasure hunt with other children in the neighborhood. Use some cheap prizes or make them yourself if you have the time. It’s a fantastic way to get outside and interacting with other kids. So, you see, there are plenty of options to keep busy and have tons of fun while you’re at it, whether you’re around the house, on the road or at school. You just need to think out of the box, and apply a lot of enthusiasm.